When you have a missing tooth there are several options of treatment that are available. Patients can feel confused on which option is right for them. In this post we would like to give you the top reasons why dental implants may be the best option for you. Those who wear dentures often complain that they do not like the movement of their teeth and also can end up feeling self-conscious about their appearance. A face without teeth can also end up sagging and look sunken again this can effect self-esteem. Dental implants have excellent aesthetic appearance and they look and feel just as good as real teeth restoring self confidence to patients. An alternative to a dental implant is often a fixed bridge this may lead to deterioration of the jawbone over time as it can loose strength and is not getting the adequate stimulation from the missing tooth root. 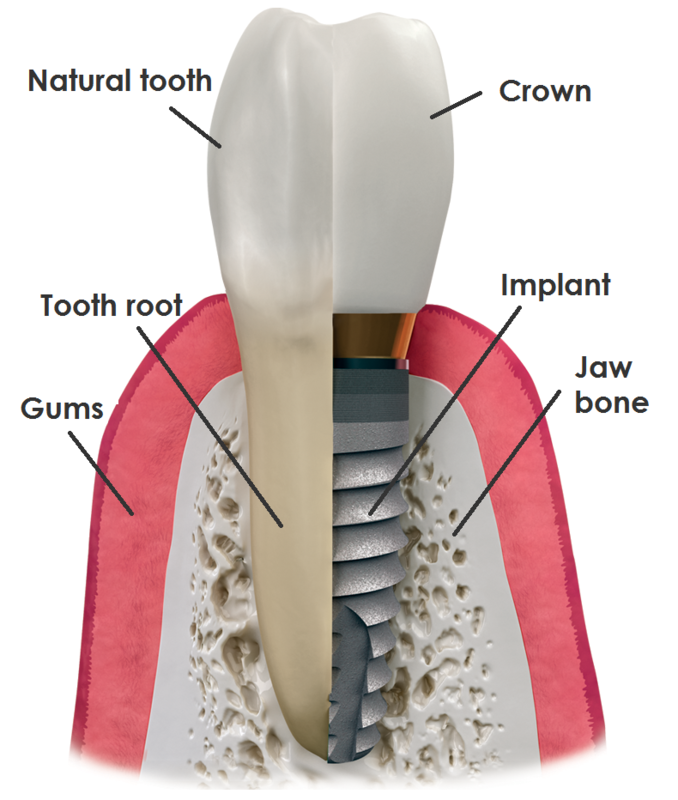 Implants keep the jawbone healthy preventing bone loss and actually encouraging bone growth. If you end up having a tooth supported bridge it can grind and damage the healthy teeth on either side of the missing tooth. This means damaging perfectly healthy teeth in the restorative process. Dental implants go straight into the jawbone therefore they don't have any impact on the surrounding teeth. After 2-3 months the dental implants will have fused to the jawbone and you will be fully healed. Unlike normal teeth they are not prone to decay. They will be just as good in 20 years time as they were the day they fitted!